Posting images of meals is the weapon of choice for many an Instagram user. Even if the food you cook for yourself is about as aesthetically pleasing as a vulture with conjunctivitis, visits to restaurants will almost always warrant photographic documentation. There are likely millions of food-related images in Instagram at this point, but an ingenious new initiative put in motion by agricultural coop Land O'Lakes is aiming to downsize that figure. Basically, they want you to delete your old (or new) meal photos, and for each one you get rid of, they donate 11 meals to any one of Feeding America-affiliated 200 food banks. In order to do this, you have to head to their 'Delete to Feed' website, sign into Instagram through the site's portal, and then go through your profile and pick the images to delete. Technically, you could probably just delete any old picture, but that kind of defeats the purpose, especially if you then share the deletion on your social media channels. 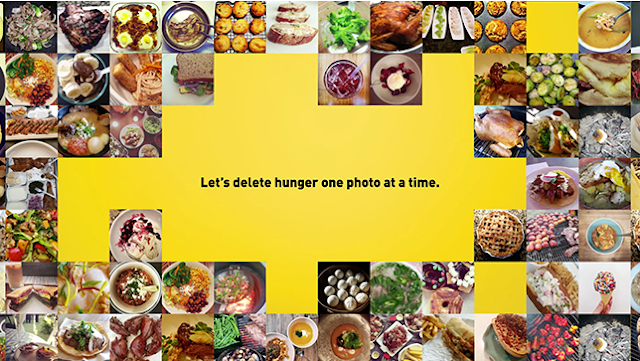 The banner saying "I just deleted a meal to donate meal" is somewhat less meaningful if the image in the middle of it is just you on a night out with your eyes half closes and a stain on your shirt. Land O'Lakes are hoping to get 2.75 million meals sent out within the next 2 or 3 weeks, which is a tad ridiculous, but certainly achievable if this gets enough traction. Regardless of how many meals they shift, the drive ends in mid-October, so best get on it if you want to shed some Instagram weight and do something good at the same time.